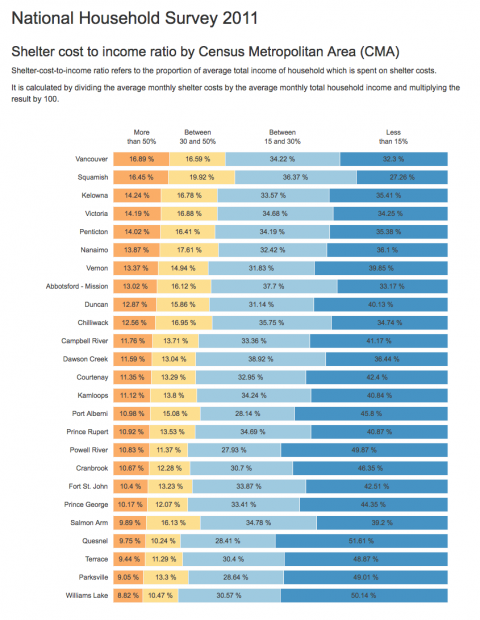 The Government of British Columbia wanted to develop statistics that will provide greater certainty about the state of housing in the province, including the role of foreign ownership, real estate as an investment or business strategy (rather than home ownership), and insights into the regional impact of these issues. 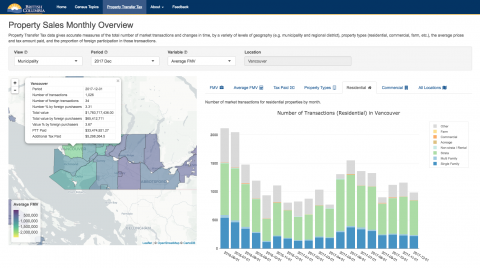 This application is the result of the Data Visualization Challenge, launched by the Innovate BC (former BC Innovation Council) in partnership with BC Stats in December 2016. 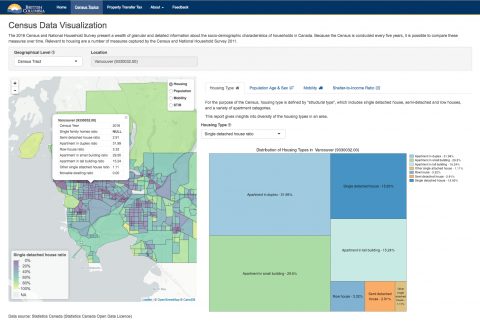 The challenge aimed to develop a tool to visualize BC housing data in a more meaningful and impactful way. Innovate BC and BCStats invited innovators around the province to submit their proposed solutions to the challenge. 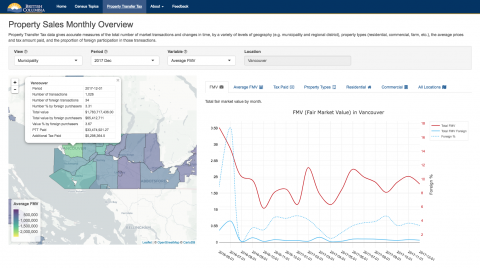 A review panel comprised of the Innovate BC, BC Developers’ Exchange and BC Stats selected the five finalists who have been selected to present their prototypes at the 2017 BCTech Summit, the largest tech event in BC and a joint initiative between the Province and Innovate BC. Ruby Industries Inc. was announced as the winner of the Challenge and got the opportunity to continue working on the project and develop the solution. 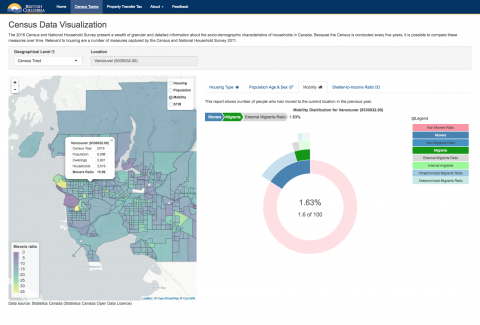 Ruby Industries combined a variety of data visualization approaches in a way that makes significant improvements to the accessibility and readability of BC Stats’ housing data. 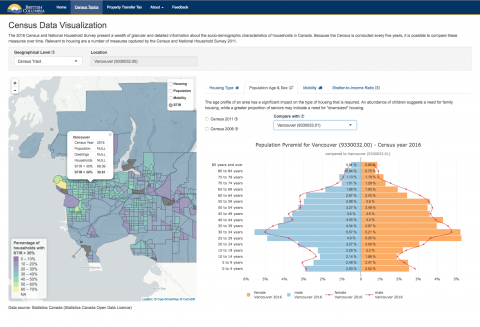 It provides BC Stats with an innovative tool for better use of their data and, and at the same time, offers interested BC residents, government agencies, and non-profits the opportunity to interact with, understand and make decisions based on community growth and housing data. 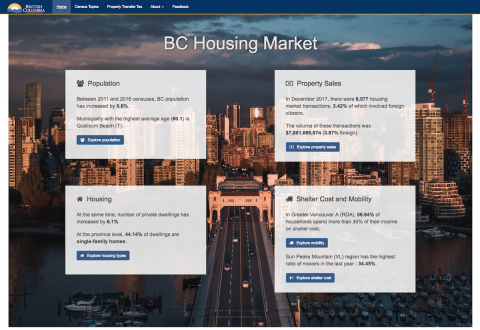 The app is currently in its beta-version, available at https://bchousing.rubyind.com/, users are invited to provide feedback on their use of this iteration including ideas as to how it could be advanced to further fulfill its role.